I received a Millers Falls No. 8 (a number 3 in Stanley-ese) for Christmas from my parents. My Dad found it while in a local antique store. The plane (post-war, I think) was in excellent condition other than a little rust, and with very little work today I put it back into service. 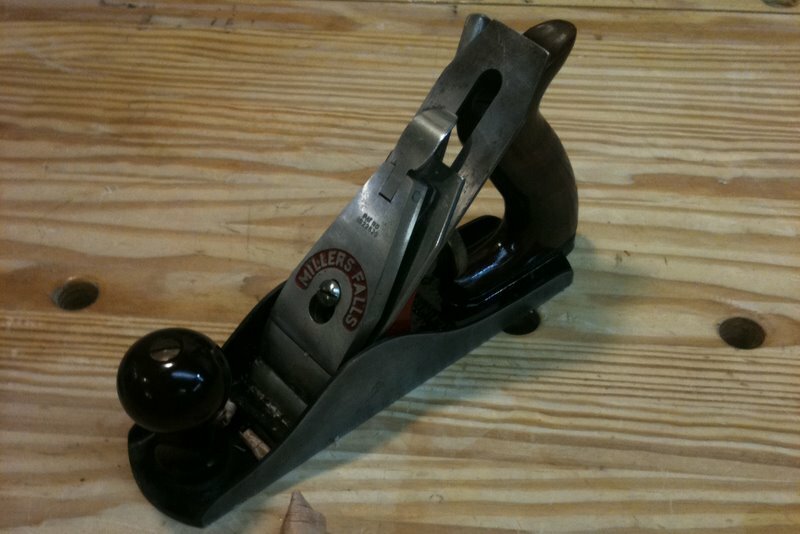 I sharpened the blade, which appeared to have never been sharpened before and generally cleaned up the plane. It is now as good as it was new, and likely a great deal sharper. Posted on February 5, 2011, in Tools and Shop. Bookmark the permalink. 1 Comment. I remember those planes, my dad had plenty of them, I still know some older guys who won’t touch a power plane, prefering the old traditional mathods. The trouble is for commercial work, craftsmen no longer get the time to use traditional methods. Everything has to be fast and rushed, which is why power tools dominate the modern trademans toolbox.